Want to try something new and exclusive? 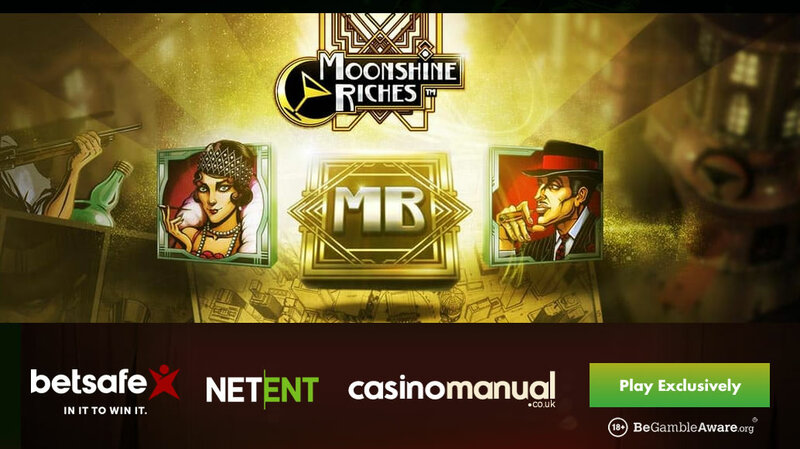 Betsafe Casino has teamed up with Net Entertainment to release the jazz themed Moonshine Riches. The Betsson Group (which Betsafe Casino is part of) has a special relationship with Net Entertainment as they’ve released plenty of video slots exclusively early – the likes of Blood Suckers II, Wolf Cub, Lost Relics and Archangels: Salvation were all released earlier than anywhere else. At present, you have Cosmic Eclipse and Coins of Egypt from NetEnt that are available only at Betsafe Casino. Anyway, Moonshine Riches is a 5 reel, 9 payline video slot which can be played, on all devices of course, from just 9p per spin. Set within a jazz club and with a swinging soundtrack, this comic book style game comes with a Ricochet Reward feature where 1 Moonshine Bonus symbol transforms all other symbol on its row into the same random symbol – this will guarantee you a winning outcome. Moonshine Riches is all about the Territory Takeover Spins feature where you begin with 5 free spins – it plays out on a 5 reel, 1 win both ways payline with wilds remaining sticky on the reels. Each new wild increases the multiplier by 1 as well as giving you an extra free spin. This can result in up to 9 free spins with the multiplier reaching 9x – this can lead to wins of 700 times your bet on your last free spin. If you’re not so lucky, the Bootlegger’s Bounty Bonus feature comes into play where you pick from buildings to win up to 75 times your bet. 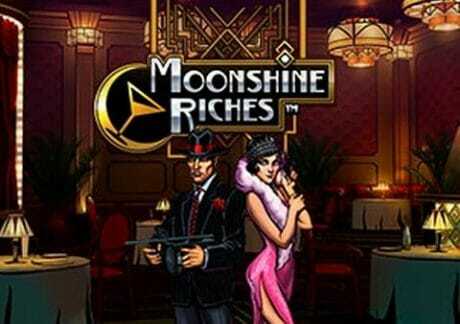 For more details of this exclusive release, and to try for free, check out the Moonshine Riches video slot review. Not played at Betsafe Casino yet? They offer new UK players a 100% first deposit bonus up to £50 – deposit £50 for example to get a £50 bonus (and play with £100 in total). You will also get 20 bonus spins on their exclusive Coins of Egypt video slot.